The LTS Software Installation page is a personalized view of the software that is available to you, based on your role. You can also find instructions on use, licensing terms, freeware/open source alternatives, and other information on this page. 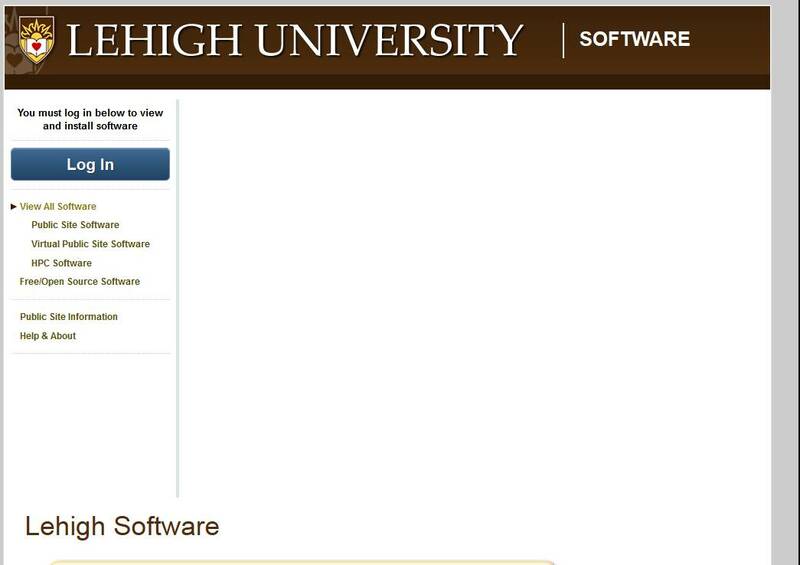 Second, log in with your Lehigh credentials -- your username and password. To do this, click on the login button in the upper-left-hand corner. 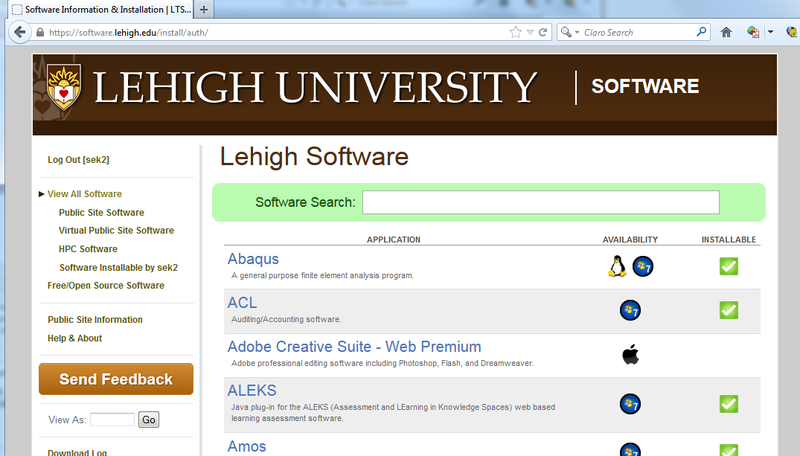 After logging in, you will see a list of the software available to you (this is indicated by a green checkmark). 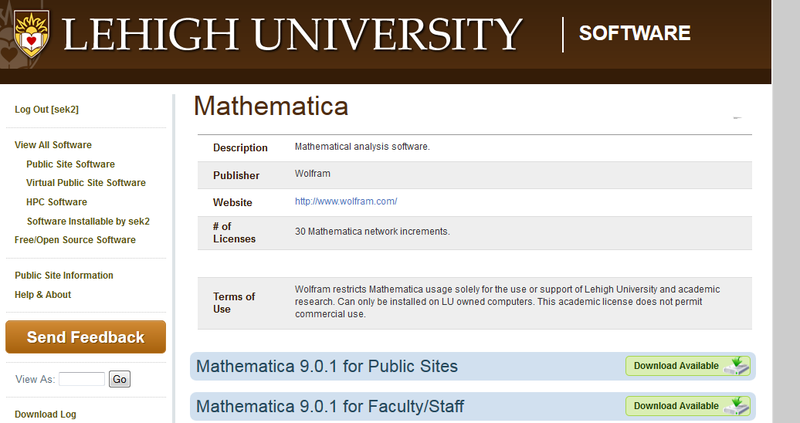 Faculty members: If you are a faculty member teaching how to use a software package, and you are loading software at public labs, you will be interested in the Public Site Information view, which shows you the refresh schedule for public sites and also allows you to gain administrative privileges for certain public sites.